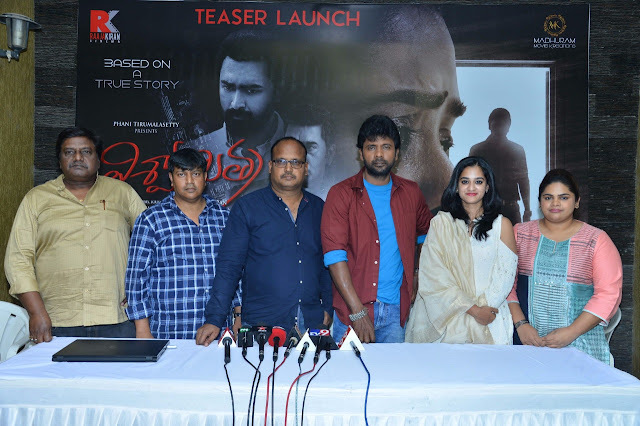 'Viswamitra' is a thriller directed by Raajkiran. 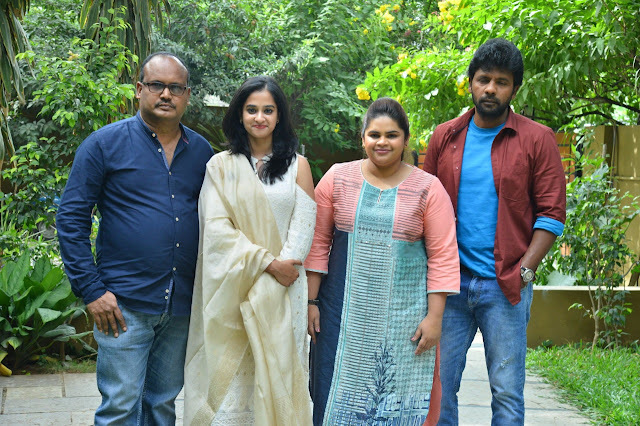 Starring Nanditha Raj, Sathyam Rajesh, Prasanna Kumar and Ashutosh Rana, the film is produced by Madhavi Addanki, S Rajinikanth and Raajkiran. It's presented by Phani Tirumalashetty. The makers have today unveiled the teaser on the shooting location of the film in Hyderabad. Speaking on the occasion, Nanditha Raj said, "I am doing a film after a long gap. I am not doing this one for the sake of doing it. It's a very interesting and novel subject. I gave the nod only because I loved the script. The director is making the movie exactly the way he had visualized. I am very happy to have got to work with Ashutosh Rana garu. I won't forget sharing the screen space with him. 'Viswamitra' is a beautiful thriller. It's based on certain true incidents that happened in New Zealand." Director Raajkiran said, "When I was going through a rough phase in my career, I went with the story of 'Viswamitra' to so many people. Some of them didn't show any interest to even listen to it. That's when I started a production company of my own. By the time we started the shoot, everything fell into place. 'Viswamitra' will be released in the first week of December. The incidents shown in the film happened for real in New Zealand and the US. It's a thriller. Although it's not a pure horror, there are doses of horror. Nanditha is apt for her role. Ashutosh Rana garu is the main villain." Sathyam Rajesh said, "Raajkiran garu narrated the story to me two years back. I felt it was a very good plot. One fine day he called me up and told me I will be the main lead. When we took the script to some producers, they were shocked that I am its lead. Finally, we found the producers who believed in us. They haven't compromised in the making anywhere. The budget has gone beyond what was expected. But the producers are determined. Vidyullekha Raman's role will be loved by all. Prasanna, Ashutosh Rana and Nanditha will be loved." Vidyullekha Raman said, "I was doing 'Srinivasa Kalyanam' when the makers sought my dates for this movie. I gave my dates immediately after listening to the story. I and Raajkiran have known each other since the days of 'Githanjali'. I am doing a full-fledged role in 'Viswamitra'. I have got comedy scenes with Sathyam Rajesh. Every role is special in the movie." Nanditha Raj, Sathyam Rajesh, Prasanna Kumar, Ashutosh Rana, Vidyullekha Raman, Chammak Chandra, Get-up Srinu, Paruchuri Venkateswara Rao, Jeeva, Rocket Raghava, CVL Narasimha Rao, Indu Anand. Music by Anup Rubens. Cinematography is by Anil Bandari. Editing is by Upendra. Action choreography is by Dragon Prakash. Choreography is by Baba Bhaskar and Sekhar Master. Art direction is by Chinna. Dialouges are by Vamsikrishna Akella. Story and screenplay are by director Raajkiran. 'Viswamitra' will be released in the first week of December.